The warning and training requirements set for the now-grounded 737 Max 8 aircraft may not have been adequate, in light of the Ethiopian plane crash that killed 157 people, the chief of Ethiopian Airlines said Saturday. ADDIS ABABA, Ethiopia (AP) — The warning and training requirements set for the now-grounded 737 Max 8 aircraft may not have been adequate, in light of the Ethiopian plane crash that killed 157 people, the chief of Ethiopian Airlines said Saturday. After the Lion Air crash off Indonesia in October, the U.S. Federal Aviation Administration and Boeing “came up with contents that we incorporated in our working manuals and also briefed all our pilots. But today we believe that might not have been enough,” Tewolde Gebremariam told The Associated Press in an interview in Ethiopian capital Addis Ababa. Ethiopian Airlines insists the carrier’s pilots went through all the extra training required by Boeing and the FAA to fly the 737 Max 8 jet. The March 10 crash killed people from 35 countries. FAA spokesman Lynn Lunsford declined to comment, citing an open investigation. Boeing on Saturday detailed planned flight-control software fixes for the plane and said it will pay to train airline pilots. 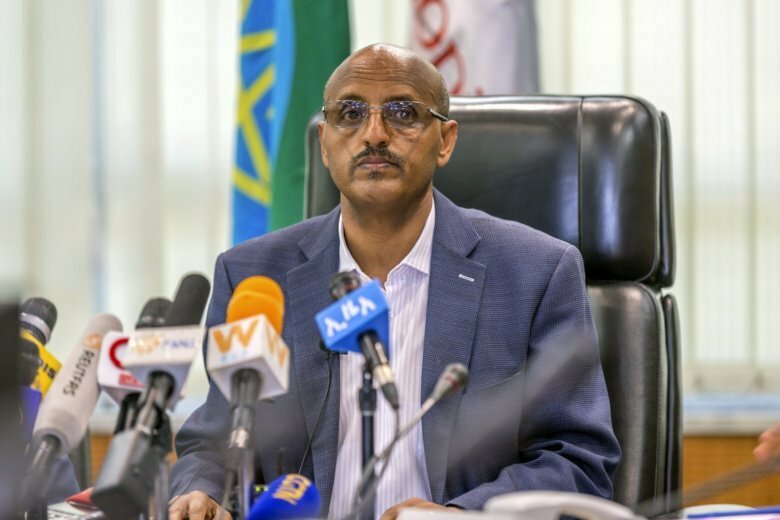 Gebremariam said earlier in the week that the training was meant to help crews shift from an older model of the 737 to the Max 8, which entered airline service in 2017. In a statement, he said pilots were also made aware of an emergency directive issued by the FAA after the Lion Air crash, which killed 189 people. Ethiopian Airlines has said there is a “clear similarity” between the Lion Air and Ethiopian Airlines crashes, citing preliminary information from the flight data recorder. Although the causes of the crashes haven’t been determined, investigators in the Lion Air disaster have focused on an automated system designed to use information from two sensors to help prevent a dangerous aerodynamic stall. It is not known whether the same flight-control system played a role in the crash of the Ethiopian Airlines jet shortly after takeoff from Addis Ababa, but regulators say both planes had similar erratic flight paths, an important part of their decision to ground the roughly 370 Max planes around the world. The New York Times reported on Wednesday that the pilots of the doomed Ethiopian plane never trained in a simulator for the Max. Gebremariam, the Ethiopian Airlines CEO, said Saturday that “it wouldn’t have made any difference” as the 737 Max simulator isn’t designed to imitate problems in the new jet’s flight-control software. He still didn’t say whether the pilots had trained on the simulator. Boeing’s planned software update for the Max must “address the problem 100 percent before we return the aircraft to air,” he said, noting that the airline hasn’t made a decision on whether or not to cancel orders for Max jets. Ethiopian Airlines is widely seen as Africa’s best-managed airline. The carrier had been using five of the Max planes and was awaiting delivery of 25 more.